This paper describes a multiobjective differential evolution approach to the optimization of the design of alternating current distributed stator windings of electric motors. The objective functions are minimizing both the machine airgap magnetomotive force distortion and the winding wire length. Constraints are related to the physical feasibility of solutions. Four distinct winding types are considered. 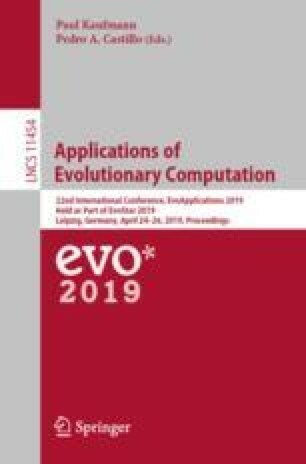 Three mutation variations of the multiobjective differential evolution algorithm are developed and assessed using different performance metrics. These algorithmic approaches are able to generate well-distributed, uniformly spread solutions on the nondominated front. The characterization of the nondominated fronts conveys helpful information for aiding design engineers to choose the most suitable compromise solution for a specific machine, embodying a balanced trade-off between machine efficiency and manufacturing cost. A. M. Silva acknowledges the support by the Portuguese Science and Technology Foundation (FCT). C. H. Antunes acknowledges the support of projects UID/Multi/308/2019, ESGRIDS (POCI-01-0145-FEDER-016434) and MAnAGER (POCI-01-0145-FEDER-028040).